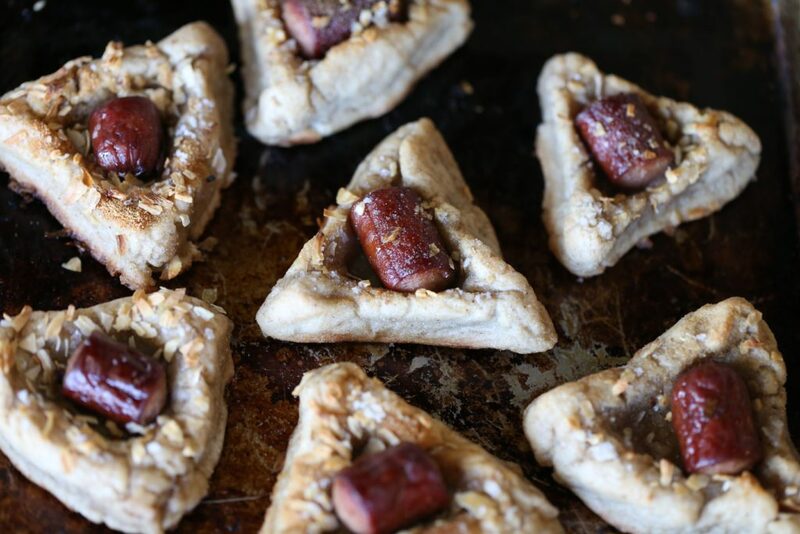 When you can’t decide between a Purim Hamantaschen and a Jewish diner, you blend them into a Paleo Bagel Dog Hamantaschen and the world is right again. I’ve been slacking on recipe writing. I’ve been slacking on everything really, except for my focus on healing and moving. It’s intense being a military spouse sometimes, especially one with chronic illness. This isn’t a sob story or a feel bad for me cry for help, but it is an admission of the fact that sometimes my world has to close in and become very small in order for me to survive it. But for the last 3 days, I have been spending more time out of bed, the temperatures have been “warm” enough that I can go outside without wanting to move to Mexico, and I was even able to chalk paint a new-to-me secretary desk (cuz you know I love a good project). So in light of my consecutive days spent vertical, I am joining the living world of bagel making and hamantaschen noshing and bringing you this gem. 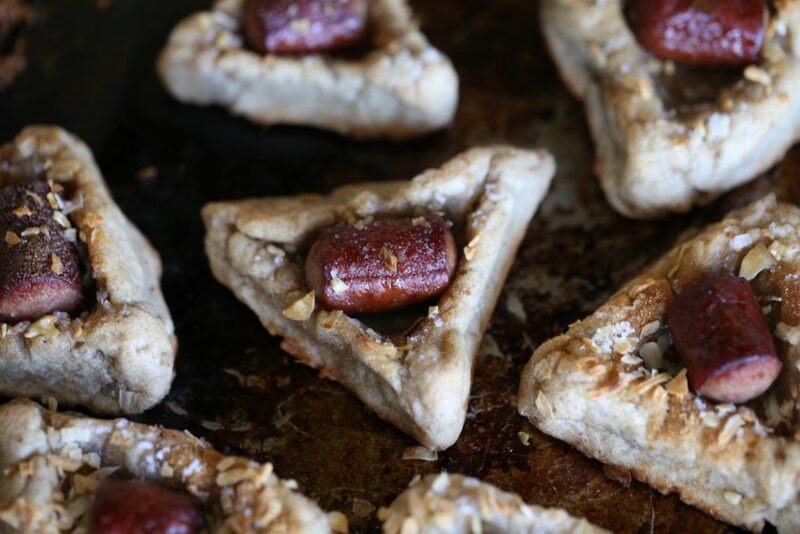 If you are the proud owner of The New Yiddish Kitche n, you know we have an amazing Bagel Dog recipe in there as well. The exciting thing about this one is that it is AIP compliant too if you use the Allergen Friendly Bagel Mix from Legit Bread Company . 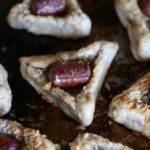 Otherwise it is still paleo, nut free, and egg free if you use the original Bagel Mix . 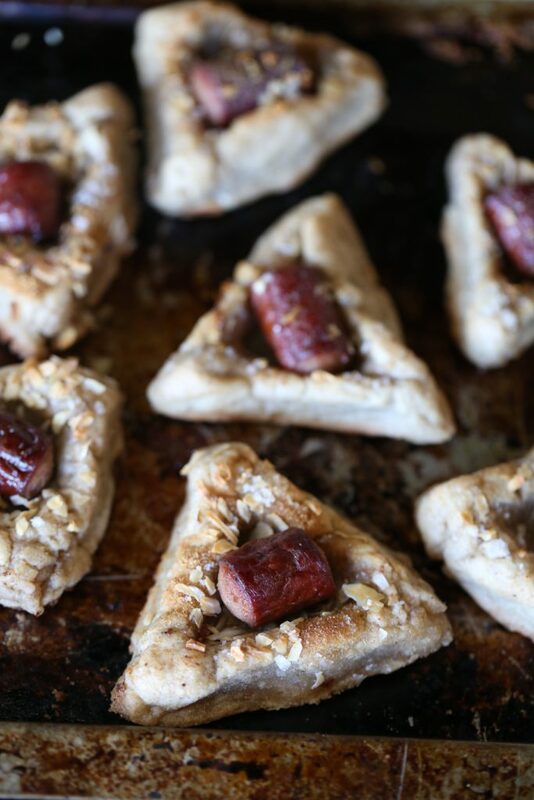 And if you don’t have the book and love a good sweet hamantaschen, you can find it HERE ! 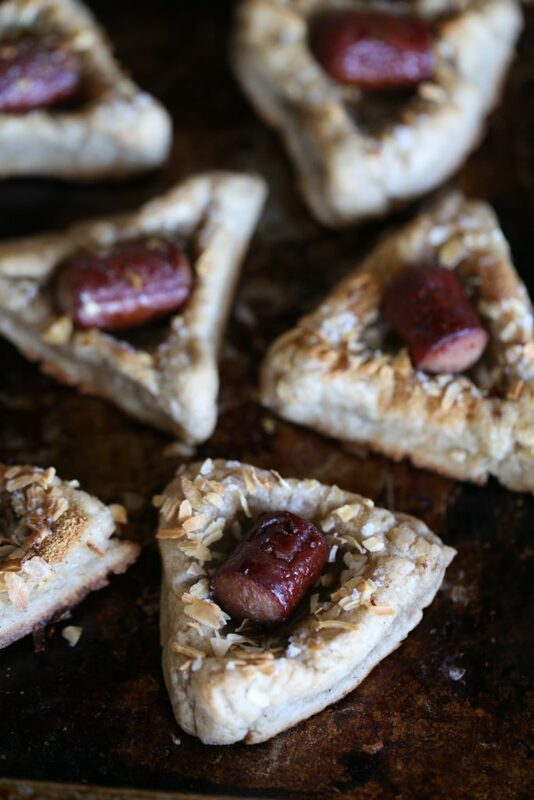 It’s packed with your favorite Jewish recipes for all the holidays, minus the grain, gluten, and grepts.